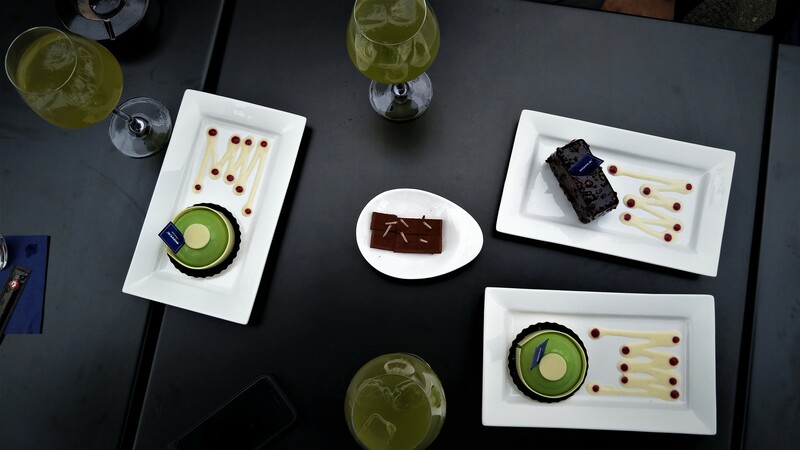 Belgium is renowned for its fine chocolates (and the world’s best restaurant), above all for the delicious pralines and truffles. 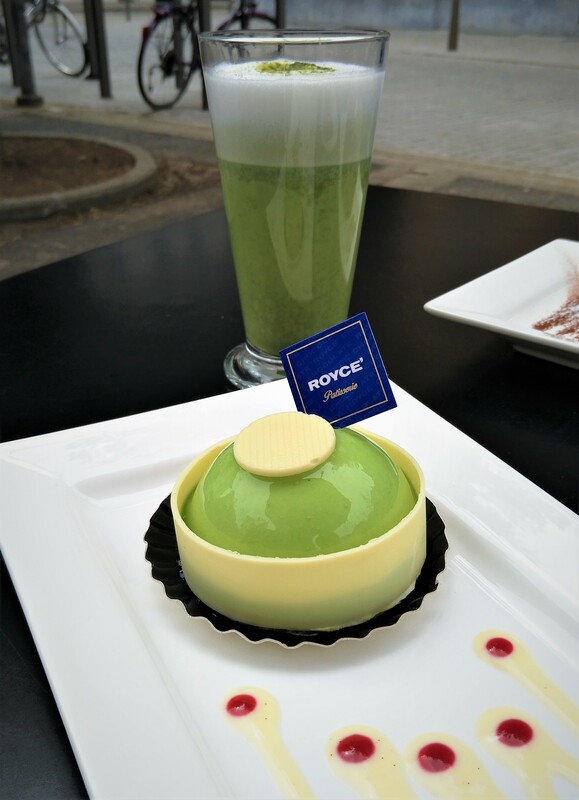 It is no surprise that few Belgians have heard of the Japanese brand of Royce chocolates and even less their founder Mr Yasuhiro Yamazaki. But all this is about to change. 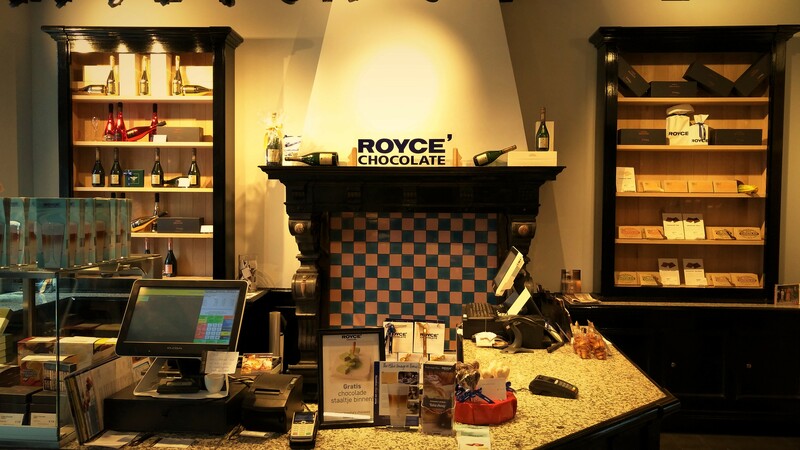 Royce’ chocolates took the world by storm with its Belgian-inspired fine chocolates. 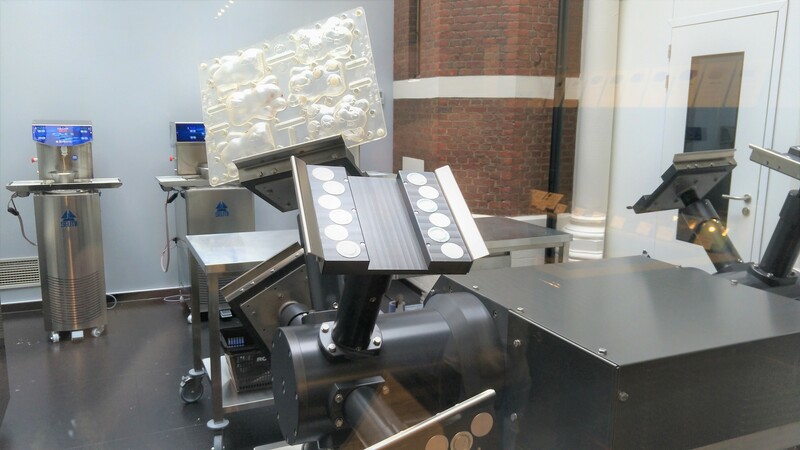 Japanese chocolatier, and curently its President, Yasuhiro Yamazaki learned the art of chocolate-making in Belgium, in the famous medieval town of Bruges, itself an epicentre of Belgian fine chocolate-manufacturing. Since returning to his home in northern Japan, Yamazaki established his shop in Sapporo and it literally won the world over. 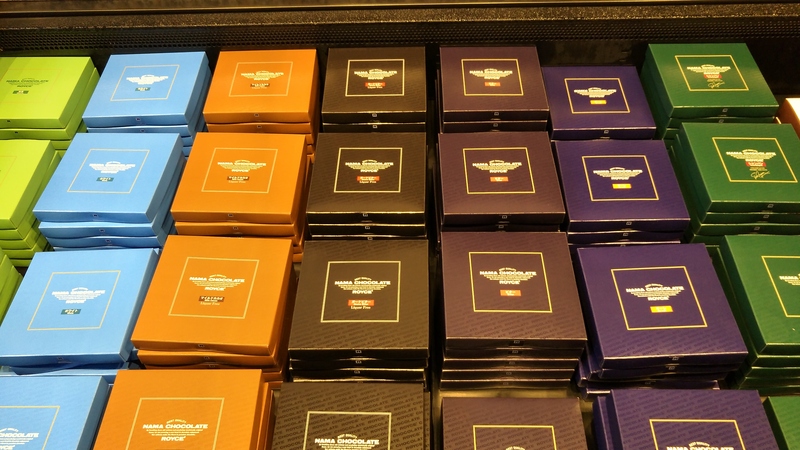 The first international store opened in Singapore in 2001, and in 2013, Royce’ established its American presence on the premium New York real estate on Madison Avenue. And now? 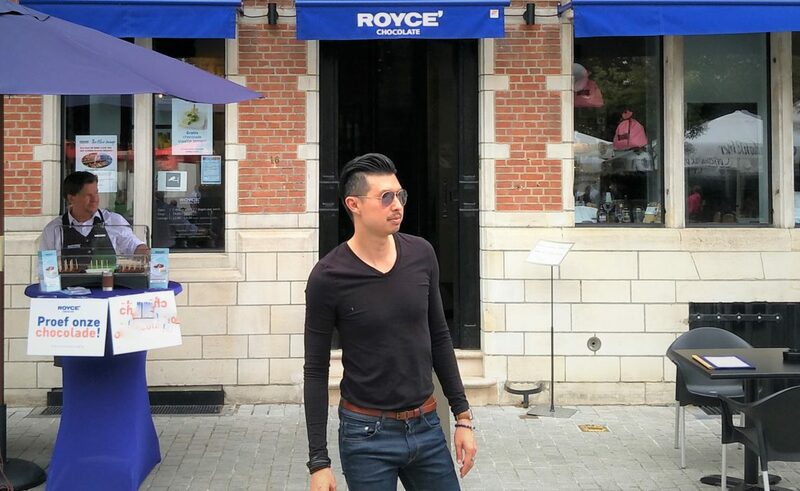 Royce’ has finally come home to Belgium! But why Antwerp? 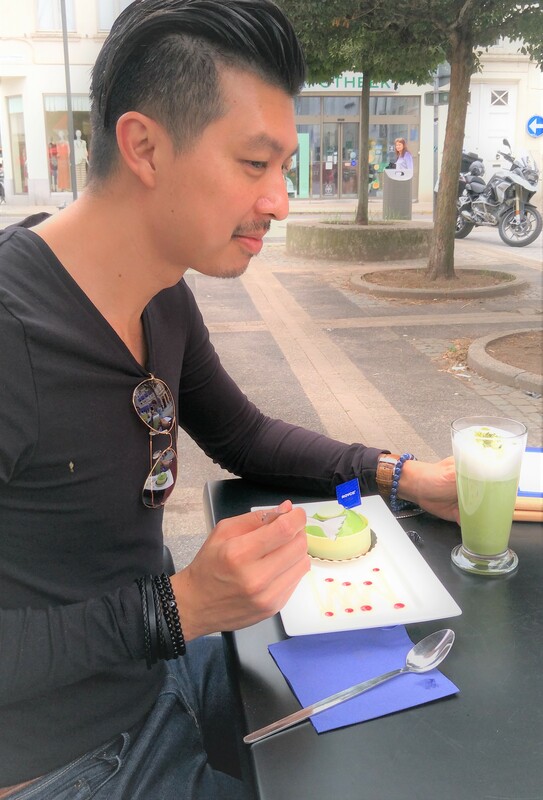 “It has always been the dream of Yasuhiro-san to open a store in Belgium, because he learned his art here,” explained Erica and Mark, Mr Yamazaki’s Belgian partners. 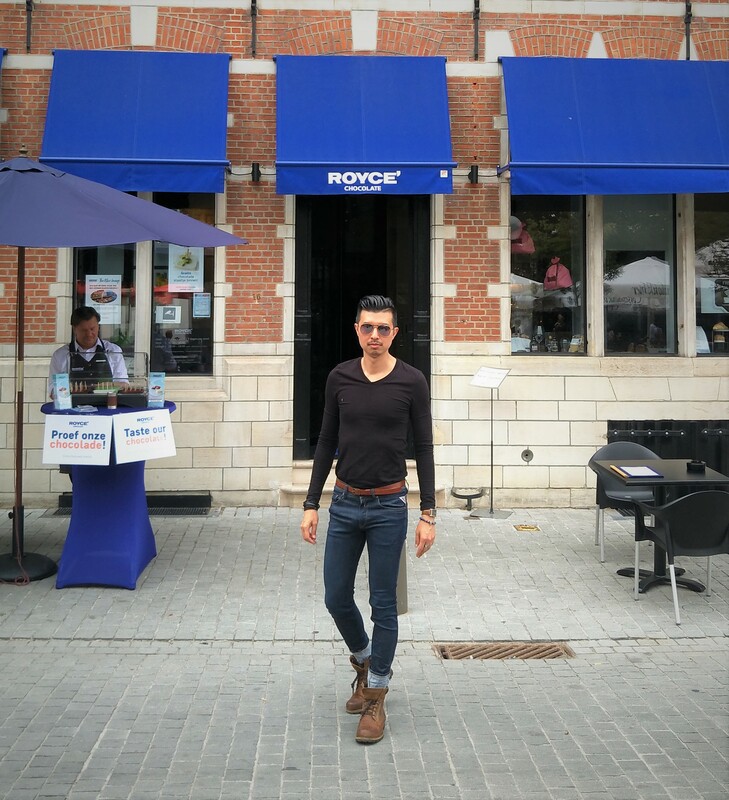 So what’s so special about Royce’ Antwerp flagship store? 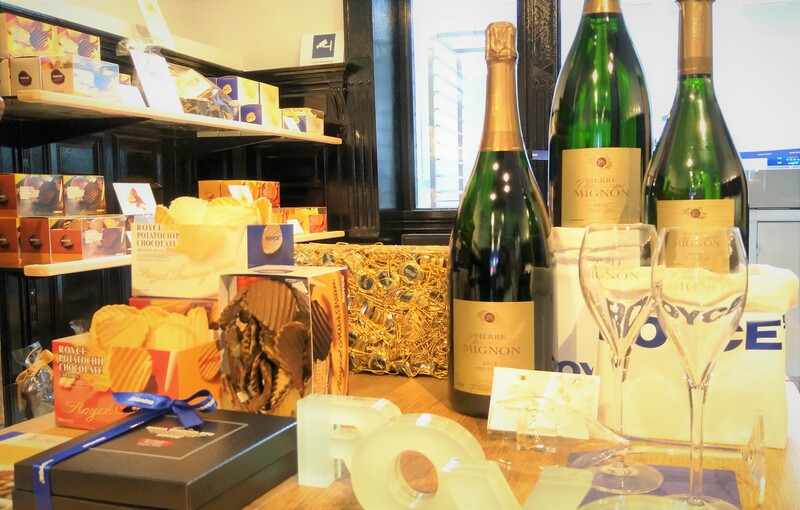 Being the first European flagship store – not even in big capitals like London, Paris or Berlin – Royce’ Antwerp has more in store for its Belgian and European customers. 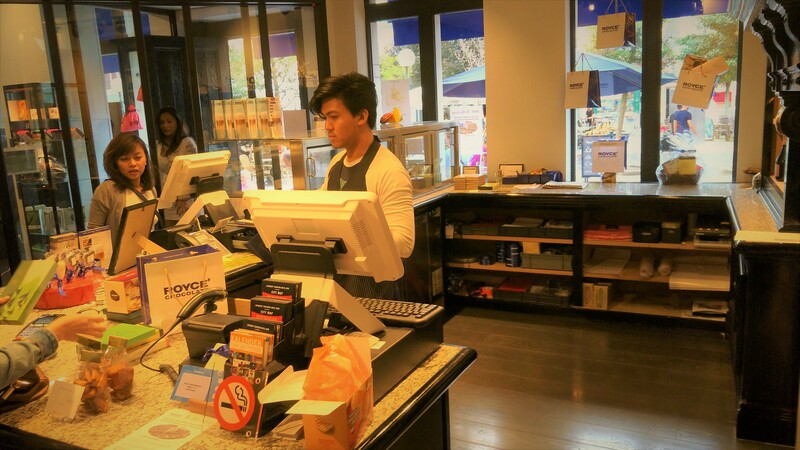 Apart from its chocolate shop, there is a chocolate workshop where you can see chocolates being made and even sign up for classes. Hygiene standards are even at clinical levels – a very Japanese attitude to life – as bacteria and temperature can alter the taste and quality of your chocolates. 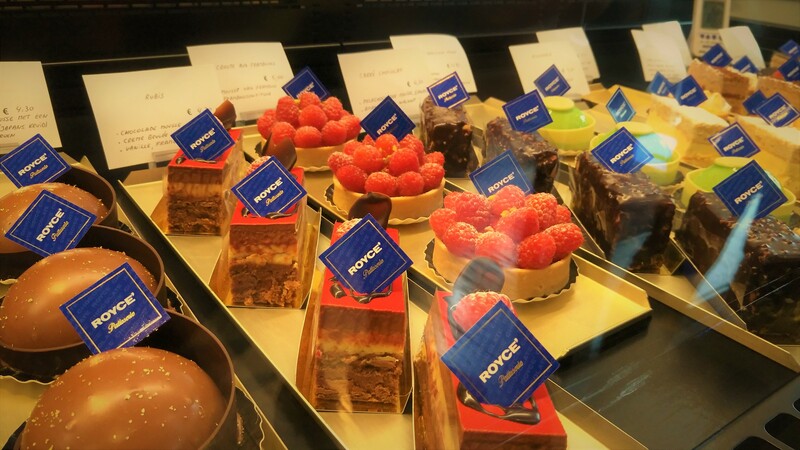 If you’re more into chocolate eating (like me), you can sit back and enjoy the one out of two fine patisseries of Royce’ flagship stores in the world. 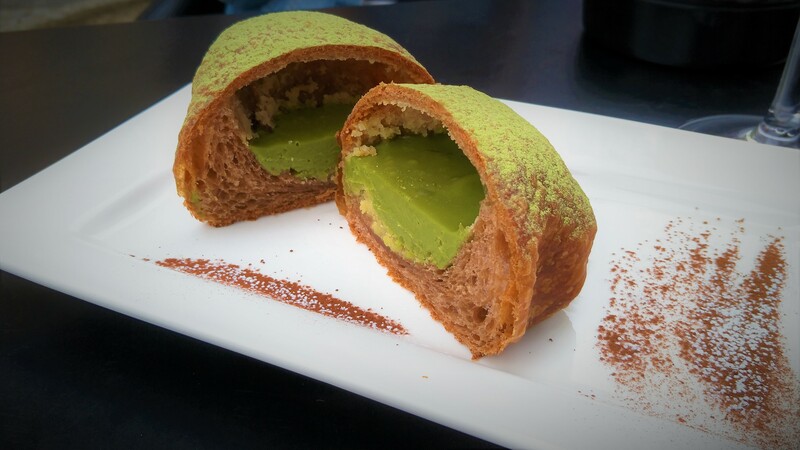 Here, Belgian pastry-masters combine the Japanese and French ingredients to make really amazing creamy and chocolatey croissants (and other goodies), and savour it over a glass of Pierre Mignon champagne or with the local Antwerp Olifant coffee. In the summer, you can enjoy the weather by sitting in the outdoor terrace just across the Flemish artist Peter-Paul Rubens’ museum, and in the winter, there is the cosy Blue Lounge on the second floor (you know how I like lounges). Nama chocolates are what made Royce’ famous the world over. It’s their signature chocolate which are squarish in size like a mosaic and was described by the New York Times as “vaguely truffle-like and alluringly creamy”. Belgian newspaper Het Laatste Nieuws thinks it is a bit like ganache with very high quality cocoa and cream. 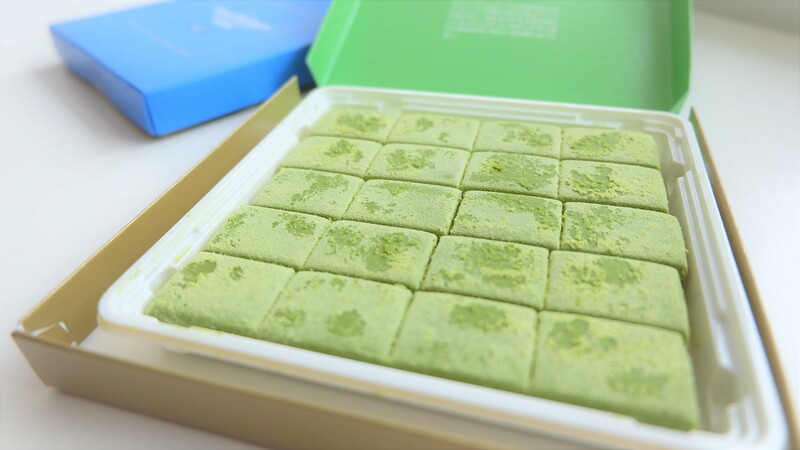 My absolute favourite is the Matcha Green Tea flavour and the Champagne version (infused with the renowned Pierre Mignon champagne). Another of my favourite is the “Prafeuille” chocolates. They are very thin leaves of chocolates only 3mm thick, hence “feuilles“, yet like “pralines” they are filled with juicy creamy sauces. Berry Cube is a must-try milk chocolate filled with a raspberry and blueberry sauce. What Belgians will probably not like is the potato crisps chocolates. It is literally potato crisps coated with chocolates. I first had it in Japan and thought it was perhaps a fad that would soon die out. But no. Somehow Asians and Americans seem to go crazy about it. Not so sure about Western Europeans. 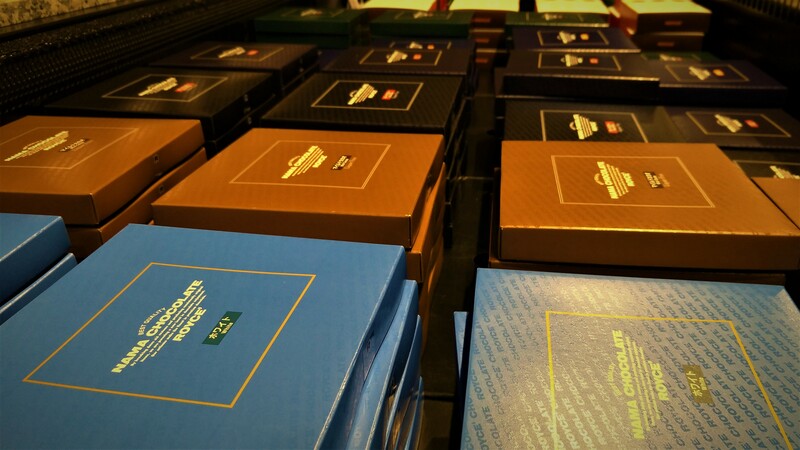 By the way, the packaging is likewise of perfect Japanese quality: each chocolate box gets its freezer bag and everything looks pico-bello. 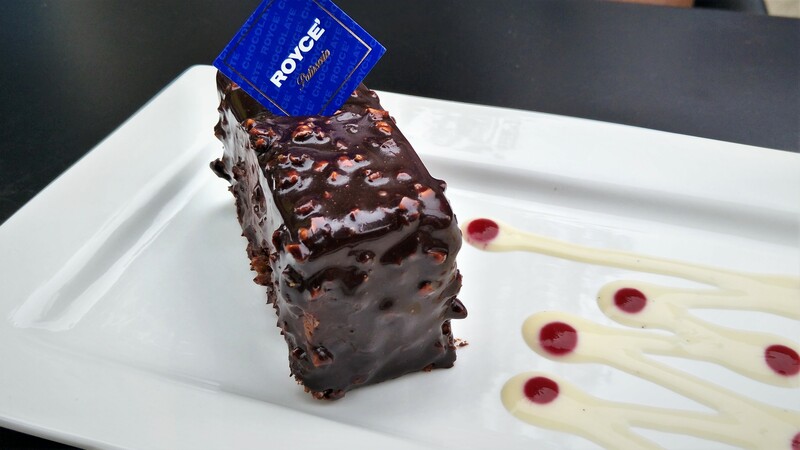 If this was not enough to convince you to try it out, you should know Royce’ was endorsed by royalty. When Thailand’s Princess visited Belgium, she stayed one whole hour eating Royce chocolates. Yes, it was that good. And she did not go back empty-handed either! So Royce’ Europe: Next stop Bruges, Leuven, Ghent and Hasselt? Then London, Paris and Berlin?